The MacBook Pro 13-inch A1278 has been upgraded from 4GB RAM to 8GB. The MacBook Pro A1278 supports DDR3 Ram. The new 13-inch MacBook Pro models can handle up to 8GB of memory. To upgrade the RAM in the 2.26GHz model, which comes with just 2GB of RAM in its standard configuration, Apple charges an extra $100 for 4GB (a pair of 2GB modules) and $1100 for 8GB (a pair of 4GB modules). The 2.53GHz model, which ships with 4GB of RAM, can be purchased with the optional 8GB of memory for an additional $1000. Third-party companies will sell you compatible memory for less; OWC, for example, sells an 8GB kit for $635, but you have to install the RAM yourself. 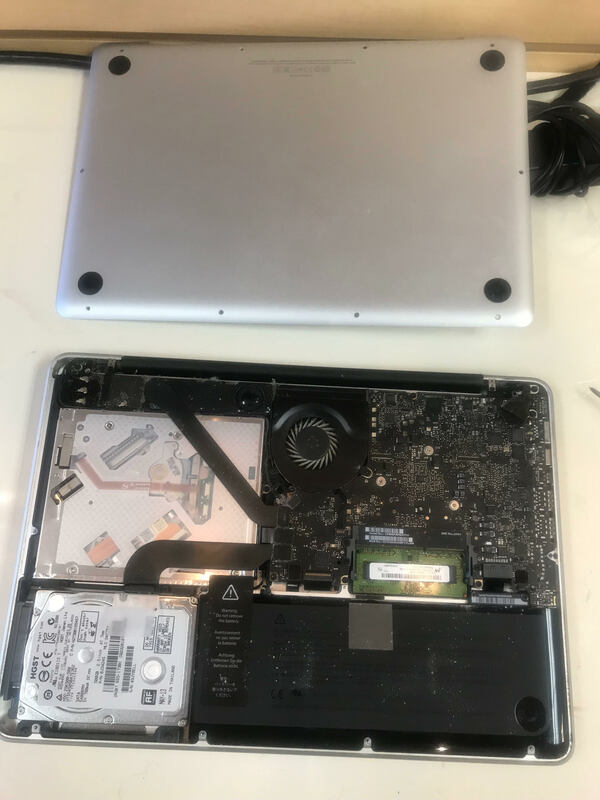 MacBook Pro motherboard, MacBook Air Screen, MacBook Air Hard Drive, MacBook Air Operating System, MacBook Air Virus, MacBook Air Water damage and more. We do RAM or Memory Upgrade. Toronto, Thornhill, Richmond Hill, North York, Markham, Vaughan, Scarborough, Mississauga, Peterborough, Woodbridge, Aurora, Niagara, Hamilton. Waterloo, Guelph, Cambridge, London, Downtown Toronto, all Ontario Canada.